The ingredients are easy to come by. The sweetened condensed milk was the most expensive and the only single use item. 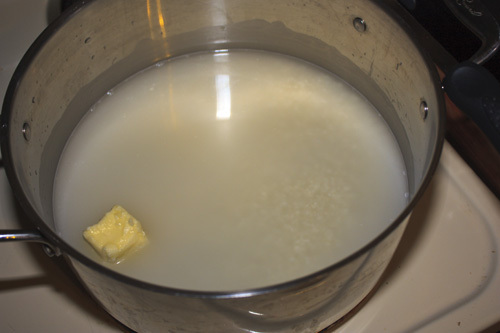 Water, rice and butter goes in the pot. You heat it to a boil. 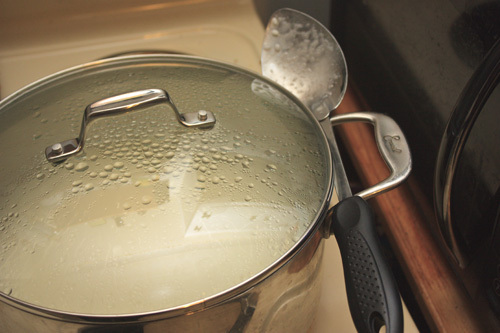 Once its up to a boil you add the lid. Its going to sit like this for 20-25 minutes. 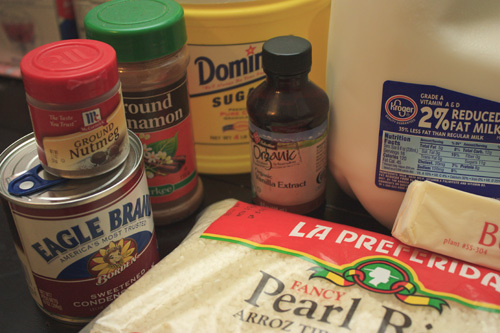 To this you add the milk, vanilla, sugar, cinnamon and stir. Then you let it sit on the stove for 20-30 minutes at low heat. I stir it frequently to stop the rice from sticking. Despite how sweet it was it came off very good. Despite me making up the "settling" thing it actually was very good the next day. Typically when I make sweet rice its for dinner. My favorite meal is to pair it with fried chicken and broccoli. I make enough to put it into Tupperware and eat at various times during the week. This recipe doesn't get graded because its one I have been making for years. I love it because its good for breakfast, lunch, dinner, or even dessert. I strongly suggest you try it. 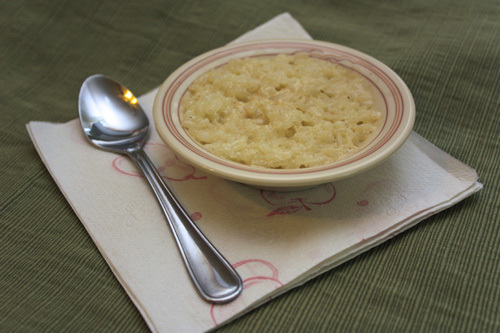 The recipe below is modified from a recipe provided online by allrecipies.com. it was provided by member crys7422, and I modified it for my own purposes. 1. 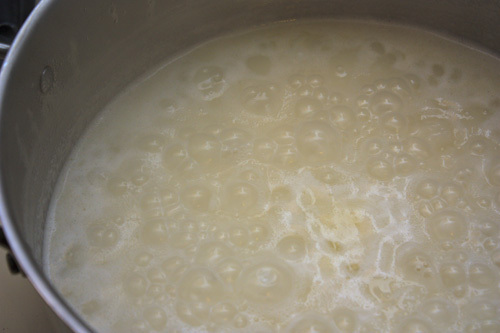 Bring the rice, butter, and water to a boil in a large saucepan over high heat. 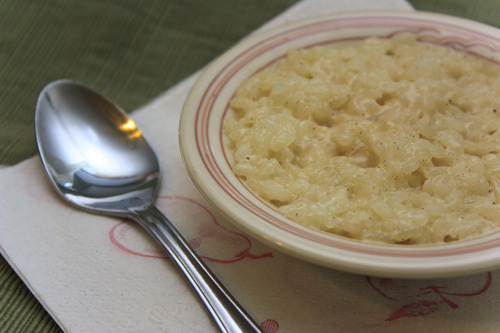 Reduce heat to medium-low, cover, and simmer until the rice is tender, and the liquid has been absorbed, 20 to 25 minutes. 2. 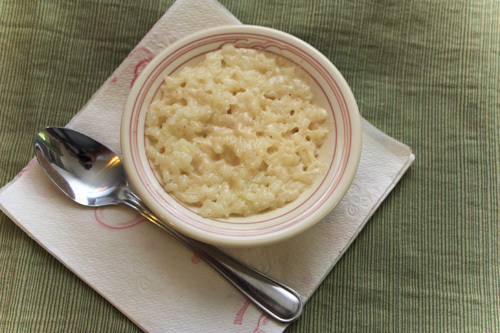 Whisk together the 2 cups whole milk, sugar, and vanilla extract in a bowl, and pour this milk mixture over the cooked rice. Stir to combine, and simmer over low heat for 15 minutes. 3. 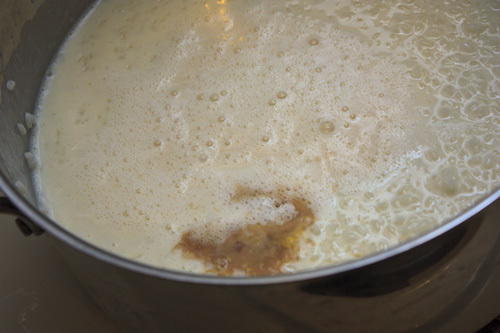 Add Sweetened Condensed milk, nutmeg, and cinnamon after it has simmered. 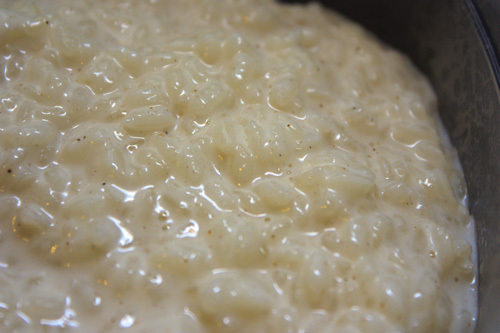 Sometimes my rice will dry out so I am always willing to add more milk to fluff it up as it simmers. This makes the rice sticky (which I prefer). Allow to cool for a few minutes. Serve warm or cold.